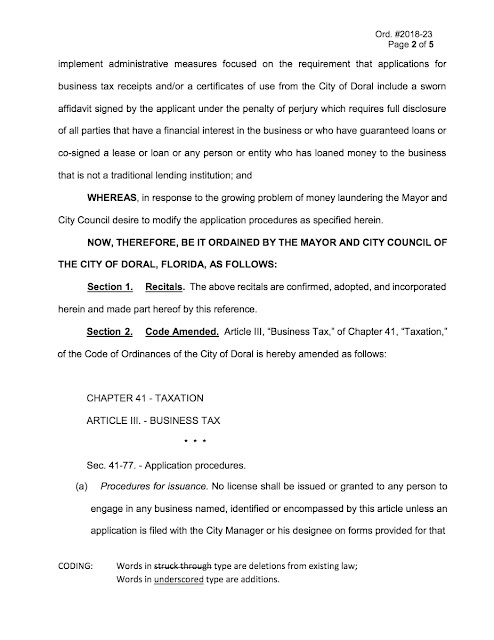 If you, as a compliance officer, are not instituting Enhanced Due Diligence upon all new affluent Venezuelan clients, to ascertain their Source of Funds, you are woefully negligent, for many Venezuelan nationals are fleeing their country (over three million at last count), and some are financing their new lives with the proceeds of official corruption. Have you, as gatekeeper, insured that they will not be allowed to launder their dirty money through your bank ? 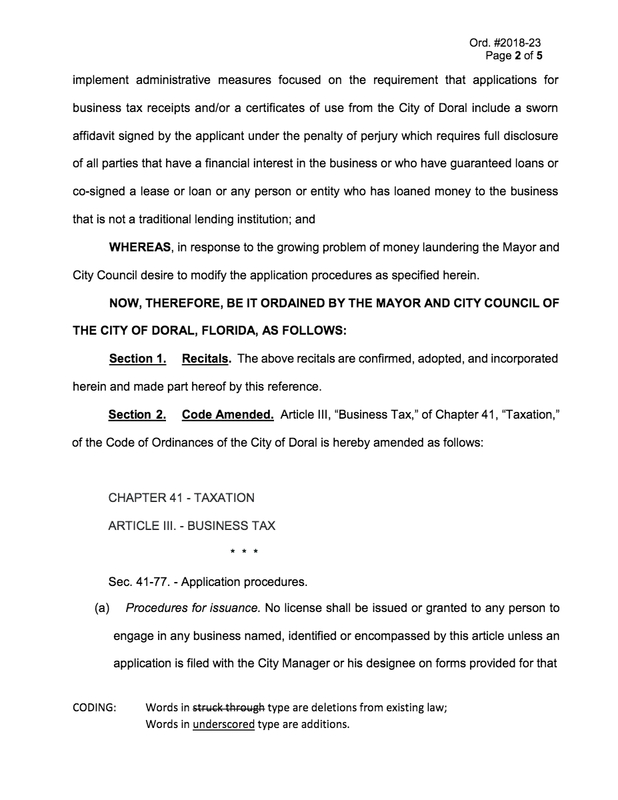 The City of Doral, which is a municipality in Miami-Dade County, and where many Venezuelan expats live and work, has enacted a new ordinance that requires applicants for a city occupational license to file an affidavit detailing Source of funds, as well as all interested third parties. 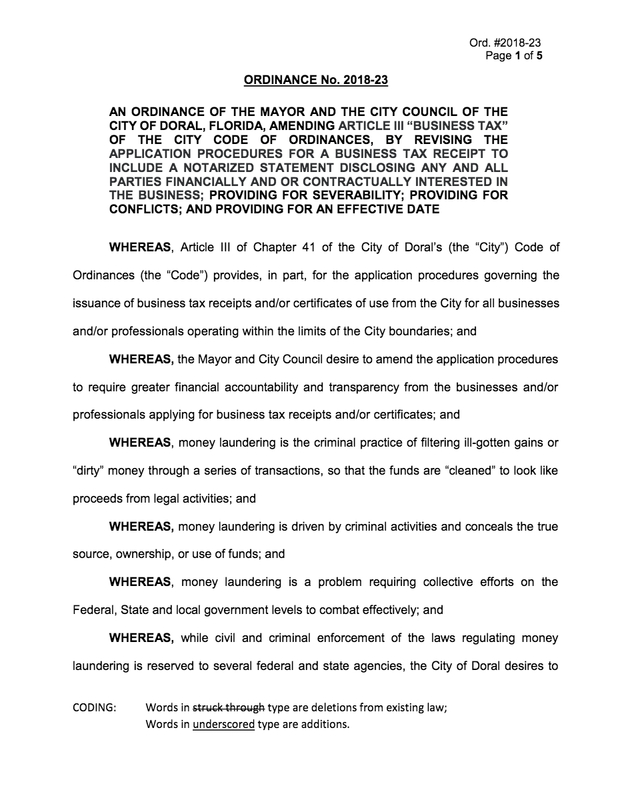 If a municipality is seeking this information, so that it can bar Venezuelan nationals with illicit funds, you should take this into account when assessing risk, and instituting policies and procedures.